Welcome to our first installation of the Premium Home Style Guide. Here we hope to give you some helpful home style tips and tidbits of home decor news that we find interesting. If you have a small kitchen space, scroll through these amazing small kitchen renovations to get some inspiration of how to use your small space. From modern to rustic styles, these kitchens make the most of their small confines. Here's another article about how to select kichen cabinet hardware, something that is often an afterthought but can pull together the look of your kitchen. The cost of moving is often overlooked by the excitement of your new space. However, read this one homeowner's account of how moving cost an extra almost ten thousand dollars in costs that she wasn't quite expecting. From small expenses like take out food during the move, to larger expenses such as appliances or new furniture, these kinds of expenses do add up so it's something to keep in mind. 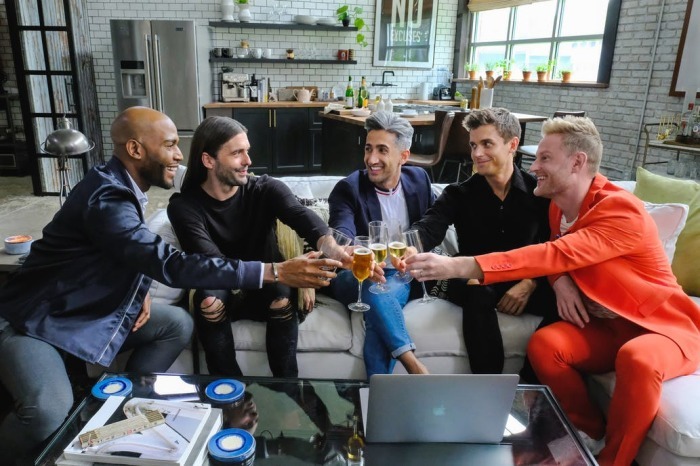 I have to say, one of my favorite shows in a really long time is the reboot of Queer Eye. Not only do these fab five have impeccable style in clothing and home decor, but they are just so fun and seem so genuinely nice! I just learned they even got nominated for an Emmy, so I must not be the only one to think so highly of the show. I was so excited to learn the Fab Five will soon be putting their stamp of approval on a line of merchandise. Are we going to see, as this article states, Karamo inspired bomber jackets, Bobby Berk approved home decor and floral print shirts from Tan? We will have to wait and see.